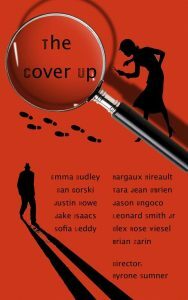 ← The Cover Up Shows! Well, hey, hi, party people! I have a few fun sketch shows with THE COVER UP this summer and my Groundlings Writing Lab show in August! Hopefully you can come check out these (mostly free) shows! io West 6366 Hollywood Blvd.